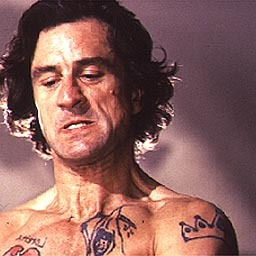 I just Tweeted about watching ‘Cape Fear’ again the other night and what a great part Robert De Niro plays as Max Cady. He is your ultimate bad guy right? In Book One of the forthcoming Snow White Series, The Huntsman is the obvious antagonist, and main target for our protag, Cass White; but he hides behind the real villain of the piece, Queenie. They say conflict sells a story. Put your hero in a situation, give them a goal, then put things in the way – constantly. We all love a book that has a happy ending right? Most crime-thillers end with the capture or termination of the bad guy (or gal! ), but what about the ones that got away? I suppose that is why Hannibal Lecter had such appeal. Sugar & Spice makes the Top 30 on Amazon UK Thriller Chart! The baddies are often the most interesting characters, isn’t it refreshing when they live to be bad all over again? Congratulations on the success of Sugar and Spice, on my Kindle, very much deserved. Thank you for your kind comments, hope you enjoy the read and I would love to read a review if you get time!